April 17, 2013 Sam M.
First, let me take a brief poll. When’s the last time you laughed out loud at something on network television? I’m not talking a chuckle. I’m talking about a full-on guffaw, a laugh that makes you pause the show just to catch your breath. And when’s the last time you were able to walk into your school or workplace the next day and talk about that same joke with your friends? Oh, it hasn’t happened very recently, has it? Of course not. That’s because there isn’t a popular network sitcom that’s actually funny. Now, to be clear, I’m not saying that they’re aren’t hilarious sitcoms out there. They’re just mostly on cable. Think about it; What are the sitcoms everyone’s talking about? They’re Girls, Enlightened (both on HBO), Louie, and It’s Alway’s Sunny in Philadelphia (both on FX). Sure, there are a few sitcoms on network television that are funny (Parks and Recreation is one of the best, most sustainable sitcoms I’ve ever seen). They’re just not popular. So what sitcoms are popular? Let’s see, The Big Bang Theory, 2 Broke Girls, Modern Family. Big Bang isn’t nearly nerdy enough to truly be great, (though Jim Parsons performance is excellent). Modern Family has gotten progressively more gushy over the past two years, and subsequently less funny. 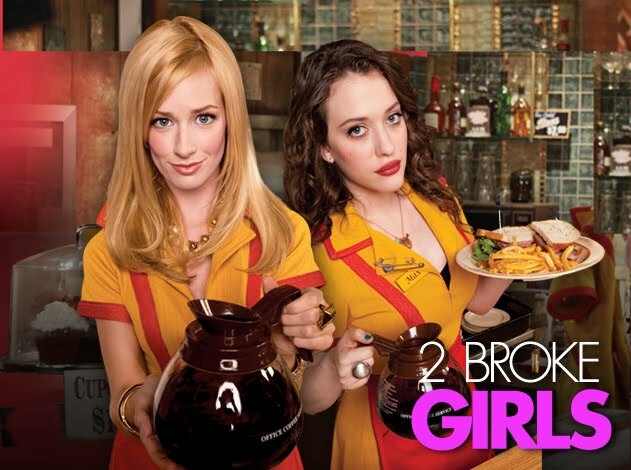 And don’t get me started on 2 Broke Girls. It’s crass, unfunny, and most of all, dumb. That’s the main problem with popular sitcoms. The jokes are stupid and old. We’ve heard them all before, and they’ve been executed much better than this. Turn on the TV now, and you can find several instances of any of the following: The guy who still lives with his mother, a budding romance between two people who disliked each other in season one, a lady having a child while her friends rush her to the hospital in crazed ‘hijinx.’ Networks churn out these almost insultingly predictable episodes so quickly I’m surprised we watch them. I can’t take it anymore. We, as Americans, watch this stupidity. We make these shows stay on six years past their expiration date. It hasn’t always been this way either. Think of the 1982-1983 season: The M*A*S*H finale, the first season of Cheers. That’s two classic television shows right there. They were popular, they were funny, and they were on network television. We can change. We’ve done it before. Please, America, I’m begging you. Make better choices about what you watch.